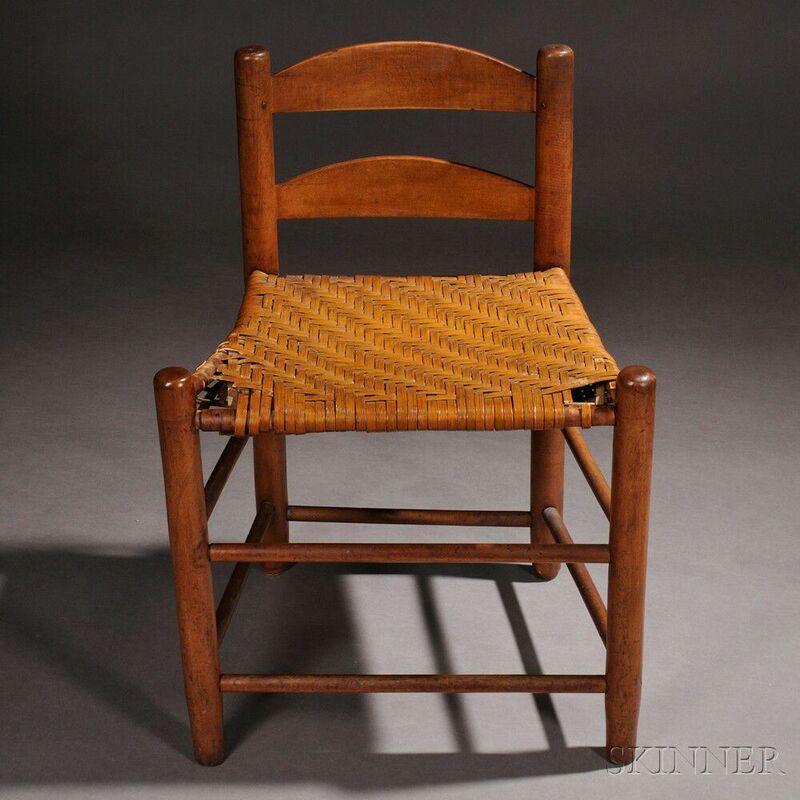 Shaker Lowback Tilter Dining Chair, Watervliet or New Lebanon, New York, c. 1850, with two slats, splint seat, and double stretchers, old refinish, (imperfections), ht. 26, seat ht. 16 1/2 in. Dining chairs like this, and like Lot 56, were also used by the Hancock, Massachusetts, Shaker community, as shown in this c. 1875 stereoview of the dining room in the East Family dwelling at Hancock (at right). breaks and losses to seat, left seat rail warped and cracked.